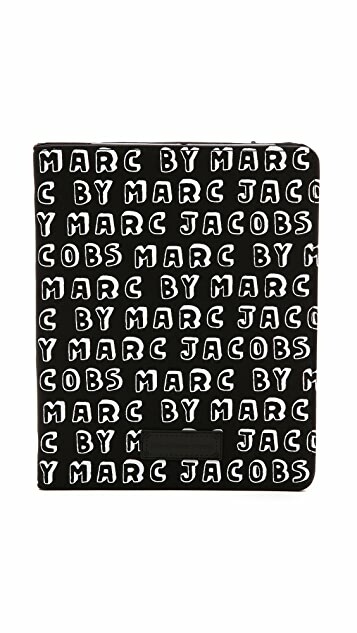 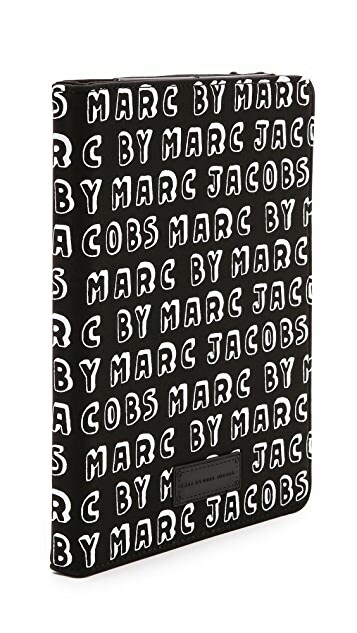 A Marc by Marc Jacobs iPad case constructed in soft neoprene. 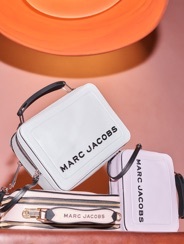 Logo letters and an enameled logo plate detail the exterior. 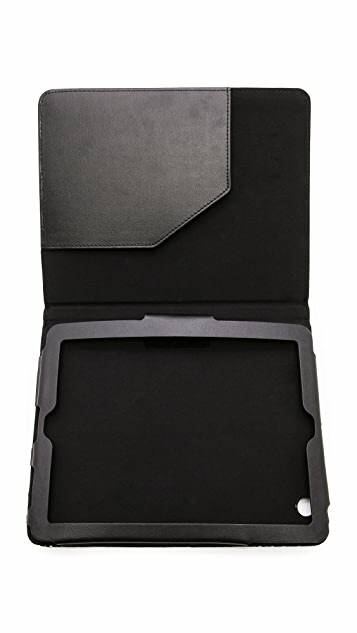 Slide pocket and Velcro®-secured window screen.